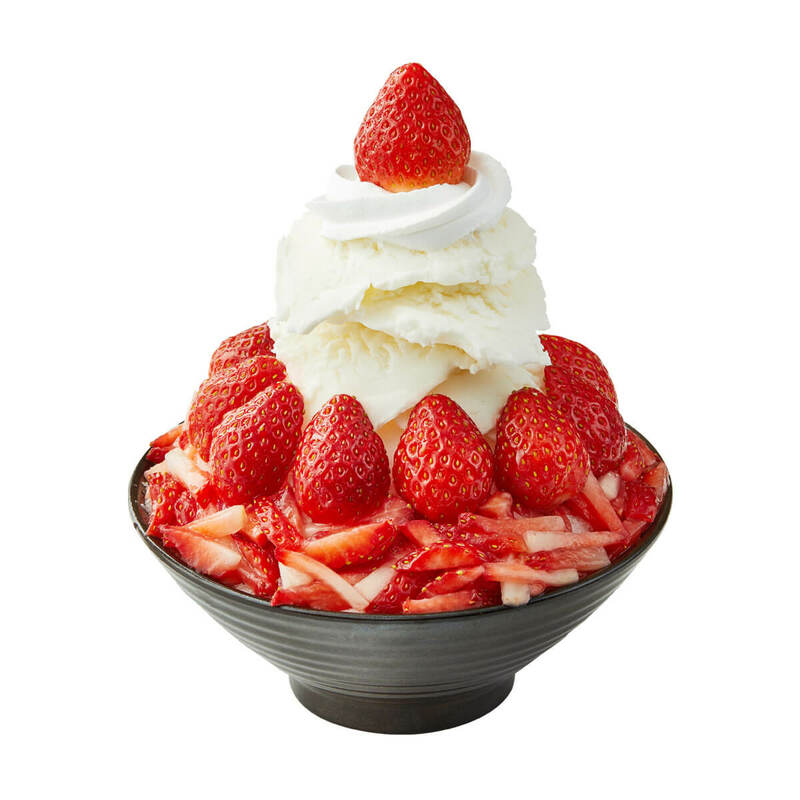 Popular Korean dessert cafe chain Sulbing has announced it will hold a strawberry festival at its Japanese branches. The first desserts to hit the menu are the Matcha Strawberry Sulbing and Yoghurt Strawberry Sulbing which will be served for a limited time at five branches in Japan from December 1. The Strawberry Festival began on November 16. A new dessert will be released at the cafe every month, the first of which is the all-new Yoghurt Strawberry Sulbing. This bowl is filled with fluffy milk flavoured shaved ice and pilled with an assortment of fresh strawberries, yoghurt ice cream and a final crowning strawberry on top. 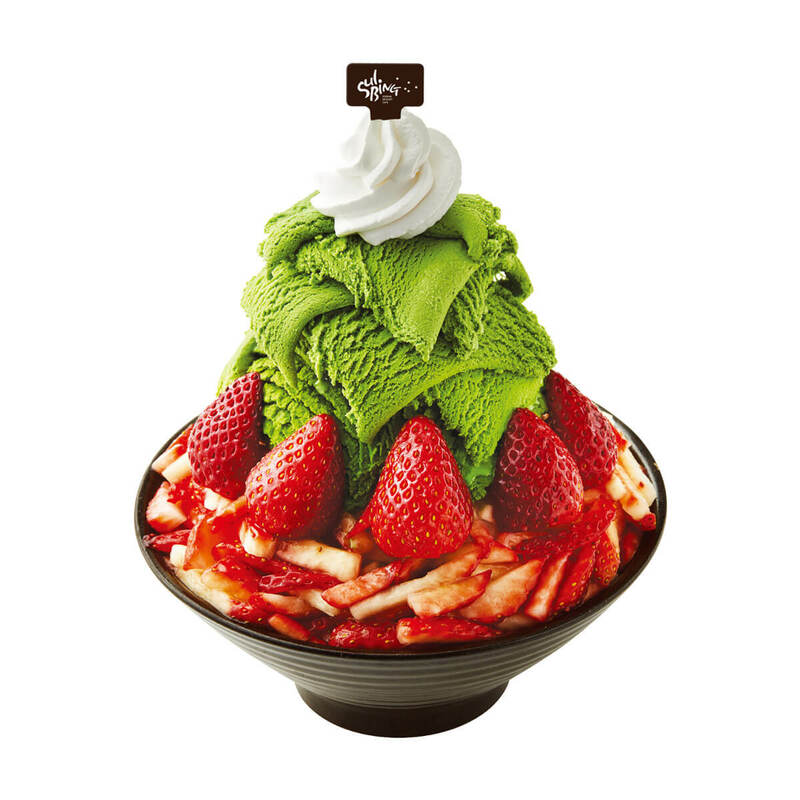 The other delight to be released simultaneously is the Matcha Strawberry Sulbing which was first released in December last year to delicious reception. The shaved ice in this dessert is once again milky shaved ice as fluffy as powdered snow. Atop is a pile of strawberries and matcha ice cream. The combination creates an irresistible flavour fusion of sweet and sour strawberries and rich matcha.